“The Influence of Instructional Design on Learner Control, Sense of Achievement, and Perceived Effectiveness in a Supersize MOOC Course.” Eulho Jung, Dongho Kim, Meehyun Yoon, Sanghoon Park and Barbara Oakley. 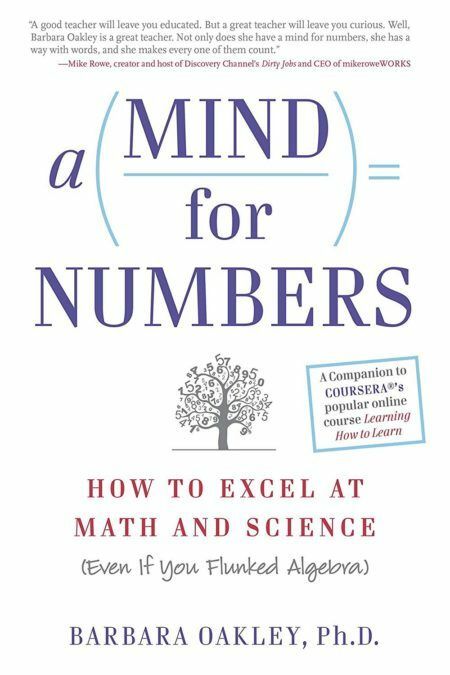 Computers & Education 128, (2019): 377-388. “Reducing Hospital ICU Noise: A Behavior-Based Approach,” Avinash Konkani, Barbara Oakley, Barbara Penprase, The Journal of Healthcare Engineering, June issue 5, 2, 2014: 229-46. “A Practical Approach to Understanding–and Applying!–the Scholarship of Application,” Barbara Oakley and Cynthia J. Finelli, IEEE Transactions on Engineering Education, 57, 2, May, 2014: 69-74. “Concepts and Implications of Altruism Bias and Pathological Altruism.” Barbara A. Oakley, Proceedings of the National Academy of Sciences 110, no. Supplement 2 (2013): 10408-15. “A Review of Medical Device Alarm Management: Paving the Way towards Reducing Hospital Noise,” by A. Konkani, B. Oakley, T.J. Bauld, The Journal of Biomedical Instrumentation & Technology, Nov/Dec 2012, pp 478-487. “Practices Involving Teamwork in the Classroom”. Results from a Survey of 6,435 Engineering Student Respondents Best Practices Involving Teamwork in the Classroom: Barbara Oakley, Darrin M. Hanna, Zenon Kuzmyn, Richard M.Felder, accepted by the IEEE Transactions on Education, 50, (3) August, 2007, 266-272. “Compact Planar Antennas for Short Range Wireless Automotive Communication,” Basim Al-Khateeb, Victor Rabinovich, Barbara Oakley, Nikolai Alexandrov, IEEE Transactions on Vehicular Technology, 55, (4) July, 2006. “Small Printed Meander Dipole Antenna Performance, Including the Effect of RF Cables, in the 315-MHz Frequency Band,” Victor Rabinovich, Basim Al-Khateeb, Barbara Oakley, Nikolai Alexandrov,Microwave and Optical Technology Letters, 48, (9), September, 2006, 1828-1833. “A Signal and Noise Measurement Procedure for an Antenna/RF Receiver Combination in a Short Range Communication System,” Victor Rabinovich, Basim Al-Khateeb, Barbara Oakley, and Nikolai Alexandrov, Microwave and Optical Technology Letters, 47, 2, October 20th, 2005, 116-119. “A Relative Technique for Characterization of PCV Error of Large Aperture Antennas Using GPS Data,” Daniel Aloi, Andrew Rusek, and Barbara Oakley, IEEE Transactions on Instrumentation and Measurement, 54, 5, October, 2005, 1820-1832. “Four-Point Electrode Measurement of Complex Impedance in the Vicinity of Bovine Aorta for Quasi-Static Frequencies,” David Stiles, Barbara Oakley, Bioelectromagnetics, 26, 1 (Jan), 2005, 54-58. “An Active Receiving Antenna for Short-Range Wireless Automotive Communication, Basim Al-Khateeb, Victor Rabinovich, Barbara Oakley, Microwave and Optical Technology Letters, 43 (3) November 20th, 2004. “A Review of Nanobioscience and Bioinformatics Initiatives in North America,” Barbara Oakley and Darrin Hanna, IEEE Transactions on Nanobioscience, 2004, 3 (1), 74-84. “Turning Student Groups into Effective Teams,” Barbara Oakley, Richard M. Felder, Rebecca Brent, Imad Elhajj, Journal of Student Centered Learning, 2 (1) 2004, 9-34. “Using a System-on-a-Chip Implantable Device to Filter Circulating Infected Cells in Blood or Lymph ,” Darrin Hanna, Barbara Oakley, and Gabrielle Stryker. IEEE Transactions on Nanobioscience 2003, 2 (1), 6-13. “Simulated Characterization of Atherosclerotic Lesions in the Coronary Arteries by Measurement of Bioimpedance,” David K. Stiles, Barbara A. Oakley. IEEE Transactions on Biomedical Engineering, 2003, 50 (7), 916-921. “Ultrasonic Parameters as a Function of Absolute Hydrostatic Pressure. II. Mathematical Models of the Speed of Sound in Organic Liquids,” Barbara Oakley, Darrin Hanna, Meir Shillor, and Gary Barber.Journal of Physical and Chemical Reference Data, 2003, 32 (3). “Ultrasonic Parameters as a Function of Absolute Hydrostatic Pressure. I. A Review of the Data for Organic liquids,” Barbara Oakley, Gary Barber, Tony Worden, and Darrin Hanna, Journal of Physical and Chemical Reference Data, 2003, 32 (3). “It Takes Two to Tango: How ‘Good’ Students Enable Problematic Behavior in Teams,” Barbara Oakley, Journal of Student Centered Learning, 1, (1), Fall, 2002, pp. 19-27. “Toying with a Capstone Design Course,” Michael Latcha, Barbara Oakley, Journal of Engineering Education, October, 2001, 627-629. “Noninvasive Cardiac Absolute Pressure Sensing: A Fundamentally New Approach,” Barbara Oakley, David Stiles, Virinder Moudgil. Medical Hypothesis. 2001, 57 (4), Oct 2001, 515-519. “A self-contained, portable variable-pressure hydrostatic cell for use in low gauge pressure electromagnetic, ultrasonic, and photoacoustic studies,” by Barbara Oakley, Forrest Wright, Gary Barber, Michael Latcha, Chris Kobus, and Pamela Grim, Review of Scientific Instruments, 70, (January, 1999): 95-97. “Tendencies Towards DEEP or SURFACE Learning for Participants Taking a Large Massive Open Online Course (MOOC),” Amber Kemppainen, Jon Sticklen, Barbara Oakley, Denzel Chung, 2015 IEEE Frontiers in Education Conference (FIE). “Time-Domain Reflectometry (TDR) in Graduate Courses,” Andrew Rusek, Subramanian Ganesan, Barbara Oakley, Daniel Aloi, ASEE North Central Section Conference, 2012. “Improving Student Understanding of Instrumentation and Measurement in US Engineering Undergraduate Programs,” by Andrew Rusek, Barbara Oakley, and Subramaniam Ganesan, ASEE North Central Section Conference, Grand Rapids, April 3 – 4, 2009. “A Framework for Developing Courses on Engineering and Technology for Non-Engineers,” John Krupczak, Timothy Simpson, Vince Bertsch, Kate Disney, Elsa Garmire, Barbara Oakley, Mary Rose, Proceedings of the 2008 ASEE Conference, Pittsburgh, PA, June, 2008. 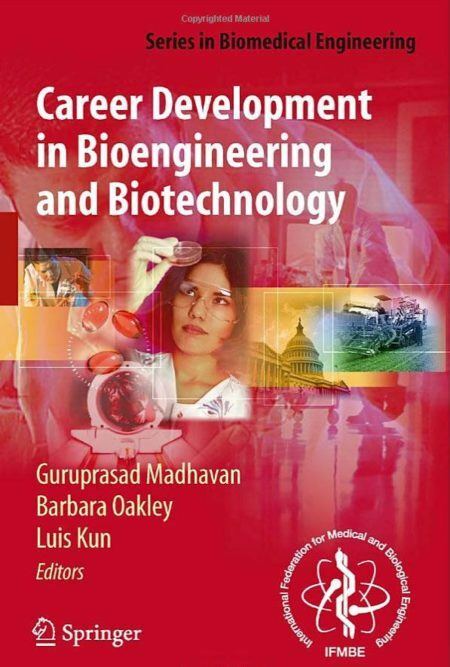 “Career and Professional Development in Bioengineering: Translation of a Conference Initiative to Education and Training,” Guru Madhavan, Aimee Betker, Jennifer Flexman, Barbara Oakley, Proceedings of the 2008 ASEE Conference, Pittsburgh, PA, June, 2008. “Easy-to-Do Transmission Line Demonstrations that Demonstrate Sinusoidal Standing Waves and Transient Pulse Reflections,” by Andrew Rusek, Barbara Oakley, Proceedings of the 2007 ASEE Conference, Honolulu, HI, June, 2007. “The Untapped Student Goldmine,” by Barbara Oakley, Lorenzo Smith, Yin-Ping (Daniel) Chang, Proceedings of the 2007 ASEE Conference, Honolulu, HI, June, 2007. “Electroporation-Induced Cell Lysis in SWLA-2 Hybridomas,” Barbara Oakley, Darrin Hanna, Sara Martens, Brooks Gross, Gabrielle Stryker. Proceedings of the IEEE-EMBS 2006 Conference, September 1-4, 2006, New York, New York. “Cell Lysis in SWLA-2 Hybridomas due to 1 kHz AC Electric Fields,” Barbara Oakley, Darrin Hanna, Sachin Kandlikar, Brooks Gross, Gabrielle Stryker, Proceedings of the IEEE-EMBS 2005 Conference, September 1-4, 2005, Shanghai, China. “Preliminary Results Related to the Principle and Application of Drug Galvano-Acupuncture,” Chen Fu, Barbara Oakley , Shudong Li , Wenlei Zhao, Proceedings of the IEEE-EMBS 2005 Conference, September 1-4, 2005, Shanghai, China. “Detection of Vesicular Stomatitis Virus using a Capacitive Immunosensor,” Darrin M. Hanna, Brooks A. Gross, Sachin Kandlikar, Elizabeth Lempicki, Barbara A. Oakley, and Gabrielle A. Stryker, Proceedings of the IEEE-EMBS 2005 Conference, September 1-4, 2005, Shanghai, China. “Development of a State-of-the-Art Bioengineering Lecture Series: An Interdisciplinary Program of Industry, Academia, and Community,” Guruprasad Madhavan, Diana B. Anderson, Joanna M. Hedels, Jason B. Cole, Barbara A. Oakley, and Kenneth J. McLeod, 2005 ASEE St. Lawrence Section Conference, Binghamton University, Binghamton, New York. “Differences in Statewide Test Results As the Result of Using A Japanese-Based Supplemental Mathematics System, Kumon Mathematics, in an Inner-Urban School District,” by Barbara Oakley, Doreen Lawrence, Jesse Petway, Mark Jackson, Pat Dessert, Darrin Hanna, Proceedings of the 2005 ASEE Conference, Portland, OR, June 2005. “An Alternate Route for a Career Path Related to Engineering Education: A Kumon Franchise,” by Doreen Lawrence and Barbara Oakley,” 2005 ASEE Conference, Portland, OR, June 2005. “An Examination of the Effect of Decaying Exponential Pulse Electric Fields on Cell Mortality in Murine Hybridoma Cells, Human Natural Killer Cells, and CD-1 Strain Mouse Spleenocytes,” Sachin Kandlikar, Barbara Oakley, Darrin Hanna, and Gabrielle Stryker. Proceedings of the IEEE-EMBS 2004 Annual Conference, September, 2004. “An Examination of the Effect of an AC Pulsed Electric Field on Cell Mortality in SWLA-2 Hybridomas,” Brooks Gross, Sachin Kandlikar, Barbara Oakley, Darrin Hanna, Andrew Rusek, and Gabrielle Stryker. Proceedings of the IEEE-EMBS 2004 Annual Conferencee, September, 2004. “Comparison of Conformal and Nonconformal Meshes in the Electromagnetic Simulation of Atherosclerotic Lesionss,” David K. Stiles and Barbara A. Oakley, Proceedings of the IEEE EMBS Annual Conference, 2003, pp. 3005-3008, Cancun, Mexico..
“Using the Kumon Method to Revitalize Mathematics in an Inner-Urban School District,” by Barbara Oakley, Doreen Lawrence, Broderick Boxley, and Chris Kobus, Proceedings of the 2003 ASEE Conference, Nashville, TN, June, 2003. “Demonstrating CDMA, Frequency Hopping, and Other Wireless Techniques with PSPICE,” Andrew Rusek, Barbara Oakley, Proceedings of the the 2002 ASEE Conference, Montreal, Quebec. “Closing the Loop in High-Frequency Amplifier Design Processes,” Andrew Rusek and Barbara Oakley, Proceedings of the ASEE Midwest Conference, Oakland University, Winter, 2002. “Simulation of Electromagnetic Fields in a Microelectrode Array,” Barbara Oakley, Julie de Hagen, Darrin Hanna, Basim Al-Khateeb, Mahmoud Al-Nsour, Proceedings of the IEEE EMBS Special Topic Conference on Nanobioscience, Genova, Italy, June 6th, 2002. “Simulation of Four-Point Electrode Measured Impedance and Current Densities Near an Atherosclerotic Lesionn,” David Stiles, Barbara Oakley, 2nd Annual International IEEE-EMBS Special Topic Conference on Microtechnologies in Medicine & Biologyy, Madison, Wisconsin, May 2-4, 2002. “A Cost-Effective Amplifier for Electromagnetic Field Strength Measurement,” Andrew Rusek, Barbara Oakley, Proceedings of the 2001 Engineering in Medicine and Biology Conferencee, Istanbul, Turkey. “Computer Modeling of CAN Automotive Bus Transceiverss,”” Andrew Rusek, Barbara Oakley. Proceedings of the Second IEEE Electro/information Technology Conferencee, Oakland University, June, 2001. “PSpice Applications in the Teaching of Wireless and High Frequency Electronics,” Andrew Rusek, Barbara Oakley. Proceedings of the 2001 ASEE Conference, Albuquerque, NM. Paper was in the top five final selection (out of roughly 1,200 papers) for best conference paper. “PSpice Applications in the Teaching of Communications Electronics,” Andrew Rusek, Barbara Oakley. Proceedings of the 2001 ASEE Conference, Albuquerque, NM. “Software Tools for Teaching High Frequency Electronics Courses,” Andrew Rusek, Barbara Oakley. Proceedings of the Second IEEE Electro/Information Technology Conference, Oakland University, June, 2001. “Incorporating Writing Skills into the Engineering Curriculum,” Barbara Oakley, Proceedings of the 1999 Frontiers in Education Conference, San Juan, Puerto Rico, November, 1999. “A Percolation Model for Rapid Vacancy Diffusion during Initial Void Growth in Minimum-Size VLSI Conductors,” Barbara Oakley and Hoda S. Abdel-Aty-Zohdy, Proceeedings of the 1995 International Semiconductor Device Research Symposium, Charlottesville, Virginia, Volume II, 313-317. “Chapter 21. Empathy, Theory of Mind, Cognition, Morality, and Altruism,” by Mark Reimers and Barbara Oakley, in On Human Nature: Biology, Psychology, Ethics, Politics, and Religion, ed. Michel Tibayren, Francisco Ayala, Elsevier, 2016. “Consilience through the Integration of Engineering and Social Science,” by Barbara Oakley, in Darwin’s Bridge, Uniting the Humanities and Sciences, ed. Joe Carroll, Dan P. McAdams, and Edward O. Wilson, Oxford University Press, 2016. 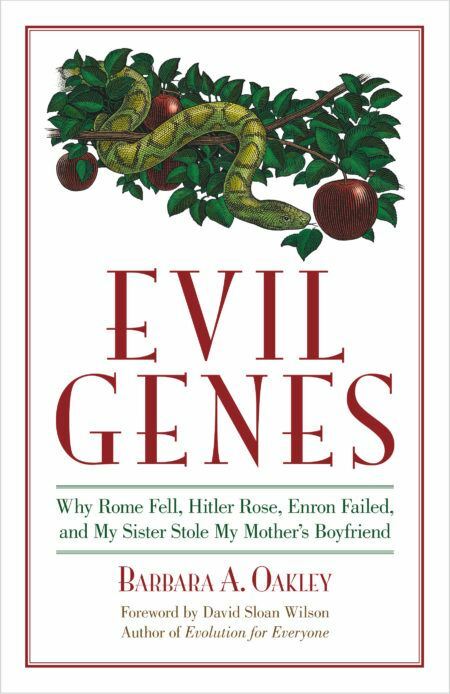 Machiavellians and Organizational Evil,” by Barbara Oakley, in The Foundations of Organizational Evil, (M.E. Sharpe, 2012), ed. Carole L. Jurkiewicz, Ph.D.
“Pathological Altruism — An Introduction,” Barbara Oakley, Ariel Knafo, and Michael McGrath, in Pathological Altruism, Oxford University Press, 2011, pages 3-9. “Too much of a good thing? 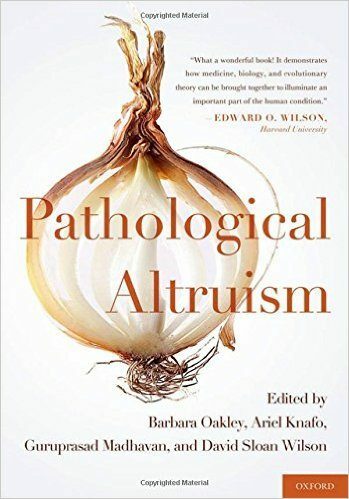 Foreign Aid and Pathological Altruism,” by Guruprasad Madhavan and Barbara Oakley, in Pathological Altruism, Oxford University Press, 2011, pages 237-245. “Codependency and pathological altruism,” by Michael McGrath and Barbara Oakley, a chapter in Pathological Altruism, Oxford University Press, 2011, pages 49-74. “Giving ’til it hurts: Eating disorders and pathological altruism,” by Bachner-Melman and Barbara Oakley, a chapter in Y. Latzer and D. Stein’s Bio-Psycho-Social Contributions to Understanding Eating Disorders, Springer, 2016. “Writing Non-Fiction Books,” by Barbara Oakley, in Career Development in Bioengineering and Biotechnology, Eds. 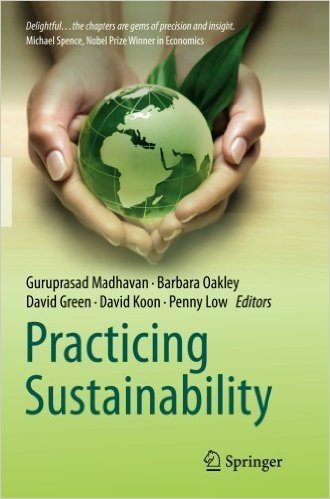 Guruprasad Madhavan, Barbara Oakley, and Luis Kun, Springer 2008, pages 283-287. Area Editor of the Sensors and Instrumentation Section of the Area Editor of the Sensors and Instrumentation Section of the Wiley Encyclopedia of Biomedical Engineering. April, 2006. April, 2006. Tribology, Gary Barber and Barbara Oakley, invited book chapter for the Macmillan Encyclopedia of Energy, 2000, pages 1163-1167. 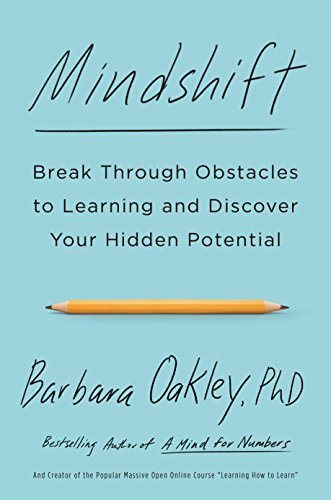 “Motivating the Unmotivated Student,” by Barbara Oakley, Insight Magazine, January, 2018. “The Ostrich and the Trend: A recent blog post was wrong about massive open online courses, Arshad Ahmad and Barbara Oakley write. MOOCs aren’t the promised panacea, but they are neither dangerous nor dead,” by Arshad Ahmad and Barbara Oakley, Inside Higher Ed, Oct 25, 2017. “Barbara Oakley Interview,” The Best Schools, Aug 18, 2017. “How to Get Excited about Topics that Bore You,” by Barbara Oakley, Harvard Business Review, July 3, 2017. “The ‘secret sauce’ behind the world’s most popular online course,” by Talia Greenblatt-Kolodny and Barbara Oakley, Coursera Blog, May 22, 2017. “Seeing the Power of the Impossible: How New Consciousness Emerges,” by Barbara Oakley, New Consciousness Review, Spring, 2017. “How To Be A Great Public Speaker Even If It Sounds Scary,” by Barbara Oakley, Huffington Post, June 8, 2016. “Science Says This Is The Best Way To Learn And Remember New Things,” by Barbara Oakley, Forbes, July 8, 2016. “This Science-Backed Technique Is the Secret to Better Learning Creating neural patterns–“neural chunks”–underpins the development of all expertise,” by Barbara Oakley, Inc. Magazine, June, 2016. “Why Virtual Classes Can Be Better Than Real Ones: An engineering professor takes online-course critics to school,” by Barbara Oakley, Nautilus Magazine, October, 2015. “Learning How We Learn: In an unlikely confluence, bioengineers are finding fertile ground in research and teaching about learning,” Barbara Oakley, Pulse IEEE Volume 6, Issue 2, March 2015, pp. 37-41. “How I Rewired My Brain to Become Fluent in Math,” by Barbara Oakley, Nautilus Magazine, October, 2014. 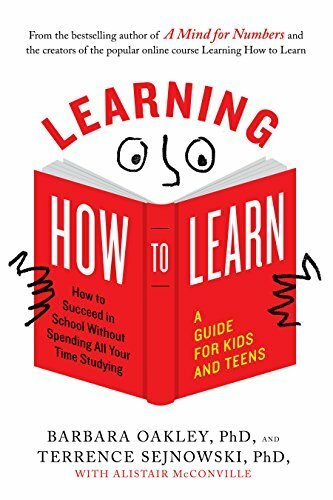 Rewire Me Article “Three Simple Strategies for Learning Anything Better.” October 13, 2014. “Paradoxes of Learning – Is Your Usual Method Backfiring?” by Barbara Oakley, Pickthebrain.com July 23, 2014. “Giving Till it Hurts: An Interview with Barbara Oakley, The Freeman, July 29, 2013. “Is It Too Late To Not Be a Jerk? A Discussion of the Teachability of Kindness,” Zocolo Public Square, Barbara Oakley, October 3 2012. 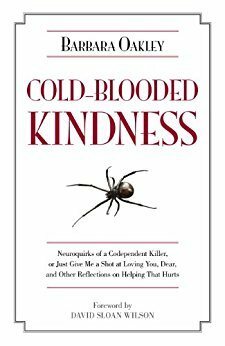 “Killing with Kindness: Studying the evolution of altruistic behaviors reveals how knee-jerk good intentions can backfire,” by Barbara Oakley, Guruprasad Madhavan, Ariel Knafo, and David Sloan Wilson, The Scientist, February 1, 2012. “Your good = my bad: When helping hurts” by Barbara Oakley, Oxford University Press Blog, Nov 16, 2011. “Are We Killing People with Kindness?” by Barbara Oakley, featured article, The UK Independent, 6 November 2011. “The harmful side of doing good,” by Barbara Oakley and Guruprasad Madhavan, op-ed for The New Scientist, September 10, 2011, pp 28-29. “Braving the Elements,” by Barbara Oakley, The Times Higher Education Supplement (London, UK), May 20, 2010, pages 46-48. “Too kind? Maybe it’s codependency,” by Barbara Oakley, Reflections on Nursing Leadership 36 (1), 2010, 3 pages. Writing Raw’s 7 Questions with Barbara Oakley, June, 2009. “What a Tangled Web We Weave,” by Barbara Oakley, The Scientist, April 10th, 2009. “Writing Compelling Nonfiction,” by Barbara Oakley, Anil Aggrawal’s Internet Journal of Book Reviews, Volume 8, Number 2, July-December 2009. “The Killer in the Lecture Hall,” Op-Ed for New York Times, April 19th, 2007, republished in The International Herald Tribune and many other papers worldwide. “The Devil Inside,” by Barbara Oakley, The Times Higher Education Supplement, pp 18-19, November 30th, 2007. “A world afflicted with blind spots,” by Barbara Oakley, op-ed in the Chicago Tribune, December 6, 2007. “On Ayn Rand, Objectivism, and Atlas Shrugged,” by Barbara Oakley, Normblog. “Problem Mini-Clinics—Empowering Students to Deal with Troublesome Teammates,” Barbara Oakley, invited article for the “On-Course” Teaching Newsletter, edited by Skip Downing, Fall, 2004. “Introduction to IEEE-EMBS—What Can the Society Do for You?” Barbara A. Oakley, Lisa J. Lazareck, Laura Wolf, Proceedings of the IEEE-EMBS 2005 Conference, September 1-4, 2005, Shanghai, China.